The Jewish community started forming and establishing itself in Argentina in the 1860s, when large numbers of Jews immigrated to South America from Europe. The community is the largest in Latin America and the 7th largest in the world. 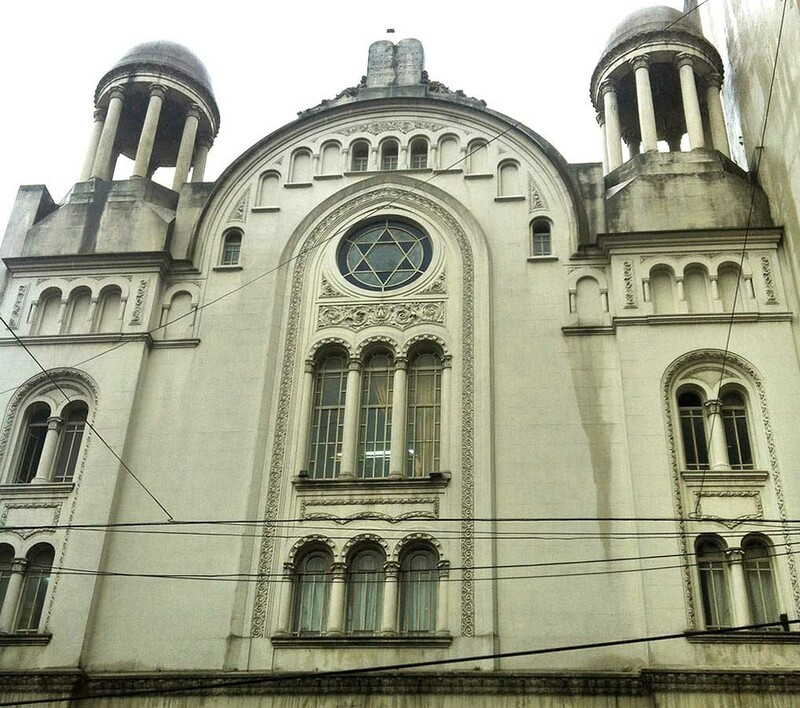 Today, Buenos Aires’ Jewish heritage remains very much preserved. 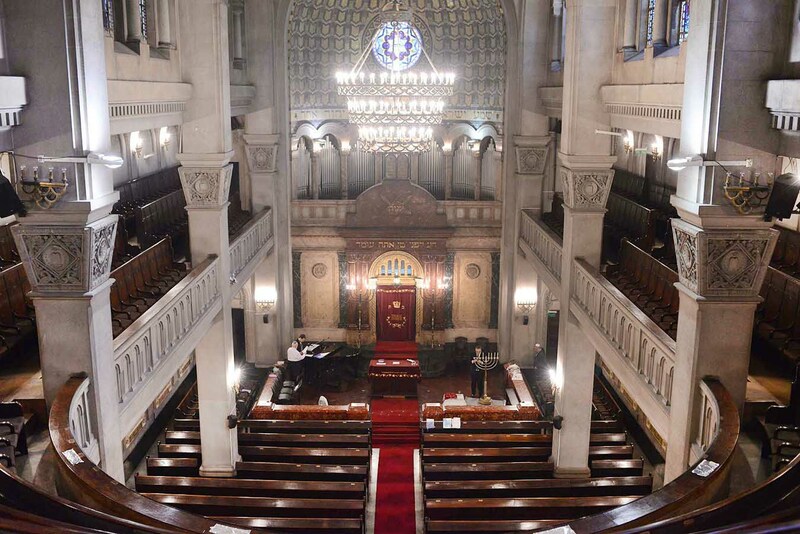 Our Jewish guide will introduce you to some of the unique features of Buenos Aires’ Jewish culture and heritage. We’ll explore the traditional Jewish neighborhood of “Once”. This neighborhood is Buenos Aires’ version of Manhattan’s Lower East Side,. and previously bustled with yiddishkeit: Jewish cafes, theatres, a Yiddish press, Jewish schools and businesses Today, while all of these still exist, the neighborhood has seen an influx of different ethnic business owners and residents, and the flavor has certainly changed over time. 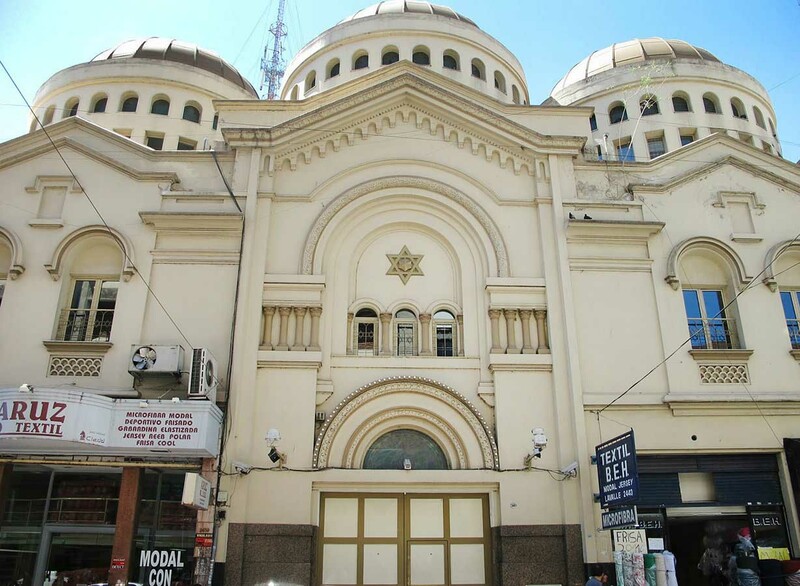 In recent decades, thanks to opportunity and Jewish prosperity, many Jewish residents decided to move up and out, to Buenos Aires’ suburbs and neighborhoods in the northern part of Buenos Aires. 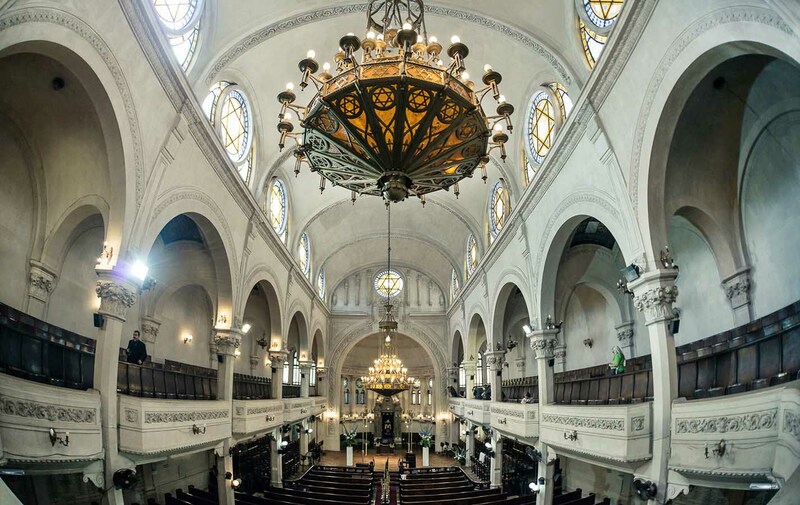 Though Once is no longer the Yiddish powerhouse of yesteryear, it merits a stop-off to enjoy a visit to some of its beautiful synagogues. One of them is the very lively “Yesod Hadat” Sephardic synagogue on Lavalle Street, founded by Syrian immigrants from Aleppo in 1920. 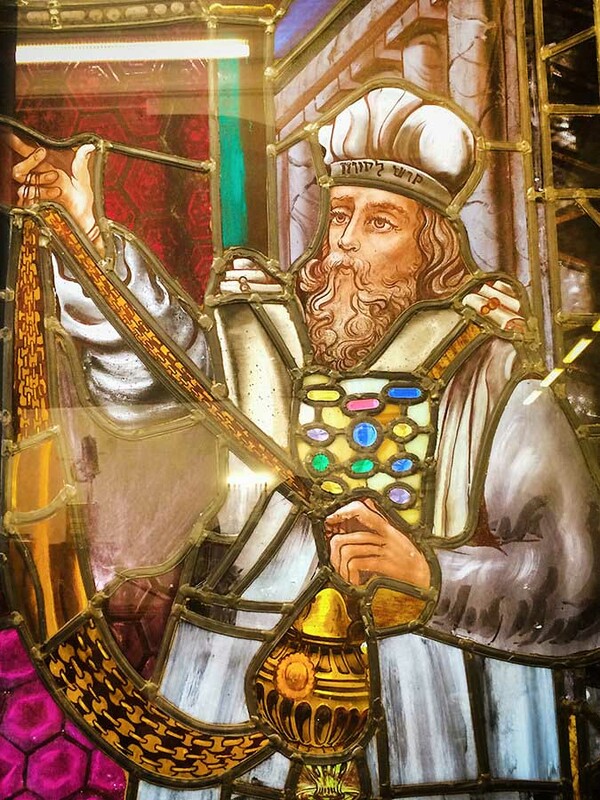 This gorgeous feat of architecture, built in a fusion style with Eastern elements and stained glass in its main hall, is a powerhouse of Jewish spirituality, within the neighborhood of Once. The community runs the synagogue, a school with 1400 students, and a center for Jewish studies. The other synagogue is the beautiful Paso synagogue, built by Ashkenazy (Russian and Polish) Jews in 1930. 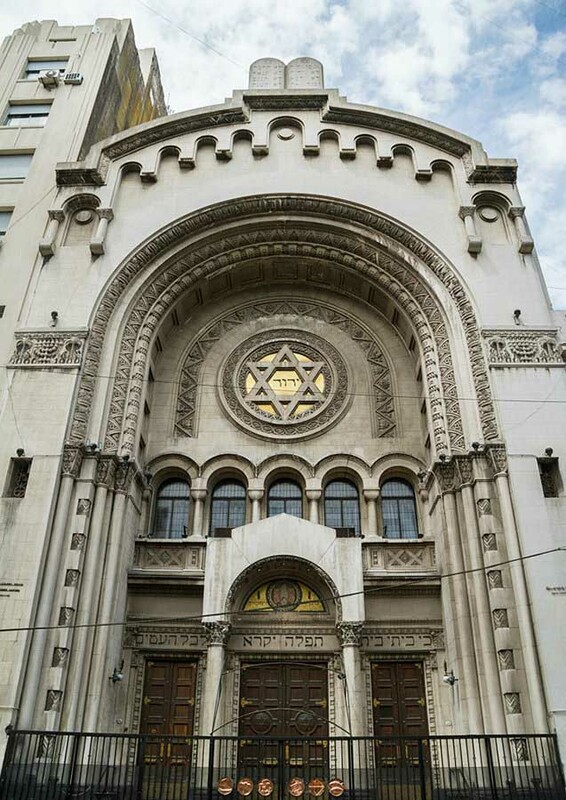 We will also visit what is arguably the most ornate synagogue in Argentina, and also its oldest one, harkening back to 1897: the Libertad synagogue, built in an impressive fusion of Romantic and Byzantine styles. In the neighborhood of Once, we will also stop by the site of the new AMIA building, the Jewish Community Center that was bombed by terrorists in 1994, and later rebuilt in 1999. This was the deadliest terrorist attack on Argentine soil ever. It should be noted that we stop outside of AMIA but do not enter the building. Driving eastward across the 9th of July Avenue, the widest avenue in the world, we will visit the site where the Israeli Embassy used to stand, prior to the 1992 bombing that razed it to the ground. It’s now a memorial with trees and inscriptions, commemorating those who fell. You’ll also get a taste of Jewish arts at the Teatro IFT (IFT Theatre), one of the oldest independent theatres in Latin America. The theatre was founded in 1932 and became an important part of the Yiddish theatre scene in Buenos Aires, still remaining a significant institution in the Jewish community, to this day. We’ll also visit another significant Jewish institution, the Instituto Cientifico Judio (Jewish Scientific Institute), a non-profit organization that contributes to and promotes the importance of Jewish culture and history. Since you’ll be doing this tour with your own private vehicle and guide, you’ll be able to enjoy each attraction at your own pace; making all the stops you want, while enjoying personalized assistance and care from your expert guide. You’ll also enjoy more convenient and faster transfers to and from your hotel, as there will be no other travelers to pick up or drop off at other hotels. Important: the tour’s exact itinerary, stops and duration may change subject to decisions of the tour guide, in an effort to optimize your tour experience. Includes: tzedaka for all visited institutions.